Water heaters are a vital part of our everyday life, so knowing when to replace them can help you tremendously. There are several reasons as to why you should have your water heater replaced and all of them affect you in some way shape or form. The most common reason you will want to have your water heater replaced is that the gallon capacity is too little for your family. This could mean upgrading from a forty gallon tank to a fifty-gallon tank that will supply you with much more water in a timely manner. This is ideal if you have a bigger family and have a hard time keeping hot water in your home. Another reason why you might consider having your water heater replaced is the recovery rate of the unit. You may be wondering what a recovery rate is and it is very simple. The recovery rate is the number of gallons of water that your water heater can heat in a single hour. If you are consistently running out of hot water this is definitely an option you should consider as your recovery rate is severely lacking. You should also consider having Water Heater Replacement in Phoenix AZ, if it is over ten years old as this is the average time in which a water heater will fail, but they could also fail sooner rather than later. You may also want to replace your water heater if you are hearing strange noises coming from it. This is a sign that the water heater is filled with sediments from years of use and will quickly become defective. As you can there are several very different, yet valid reasons as to why you should consider having Water Heater Replacement in Phoenix AZ by us. 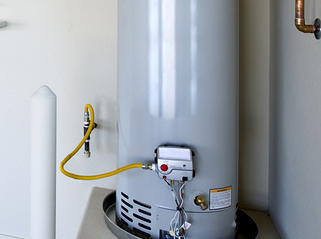 If you are interested in replacing your water heater you should contact us today to set up an appointment.